Irish police scandal: What next for Garda Síochána? Irish Prime Minister Leo Varadkar is not satisfied enough people within his country's police force have embraced the need for change. The taoiseach's remarks were made after a union spokesman said rank-and-file gardai had "elevated" the number of breathalyser tests carried out, but denied falsifying the figure. 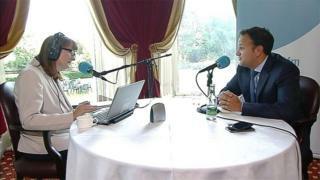 When Leo Varadkar sat down for his ritual RTE interview at the annual Fine Gael conference in Co Tipperary, it was obvious what the first questions would be about - the Garda Síochána and its outgoing commissioner, Noirín O'Sullivan, who announced earlier this week that she was quitting. Mr Varadkar said that while his government strongly supported the force, it needed better management and changes in both attitude and culture. But the force, with its much criticised record and generally-accepted need for reform, has been in the news for other reasons too. The falsification of almost 1.5m breath tests is just one of the many issues that continues to haunt the Garda Síochána. On Thursday John O'Keefe, a spokesman for the Garda Representative Association (GRA) that speaks on behalf of rank-and-file gardai, accused senior officers of faking tests to win promotions. In an interview, deemed extraordinary by many in political circles, he claimed that GRA members had not falsified the number of tests but had merely "elevated" the figure. The association also says it will not allow rank-and-file officers be scape-goated for the scandal. Fianna Fail's Justice spokesman, Jim O'Callaghan, reacted by saying it was "not healthy" to have different ranks blaming each other for the controversy. The development comes at a time when there are reports the independent body that oversees the performance of the force, the Policing Authority, believes that only nine of the 50 reforms that senior officers claim to have completed have been finalised. The next commissioner will also have to be mindful of relations with the GRA in particular. Last autumn, the association threatened industrial action, despite being banned from striking, in support of pay and conditions after years of spending cuts and austerity. Shortly after agreement was reached between the Irish government and the GRA, an independent review found that when garda pensions were taken into account, the average annual pay of a garda was about €100,000 (£80,000). Public sympathy for the difficult job they do will only go so far at a time when just about everyone outside the force accepts there is a problem with the culture of the Garda Siochana.